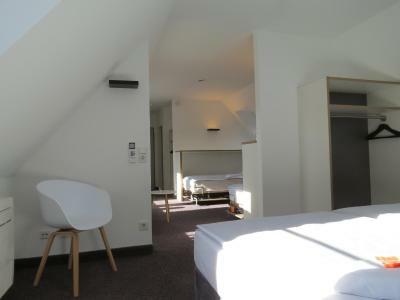 Lock in a great price for Comfor Hotel Ulm City – rated 8.8 by recent guests! The two story room was incredibly spacious and well appointed. The breakfast was lovely, the staff friendly and it was perfect for our family of four. Just passed thru this area for one night, but the hotel was nice and clean. The room was large and the breakfast was good with several options and a good price point. 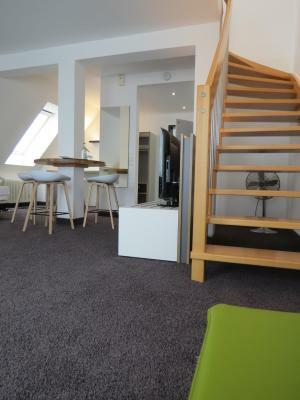 Great location, less than 10 minutes walk to the Munsterplatz. We stayed here for the annual Einstein marathon. They offered showers on the day of the race, even if we checked out. The underground parking garage has plenty of space. Lots of shopping nearby and the Danube is less than 10 minutes. We booked a quad room and it had 2 toilets and a small kitchen space - really lovely! Good breakfast and good coffee. Comfortable room. The fan in the room was very useful. The location worked well for us. Easy walk to old town attractions. Generous sized room. Air conditioning worked great and allowed us a very comfortable sleep. Breakfast was delicious with a good variety of healthy choices served in a light airy room. Very good breakfast. 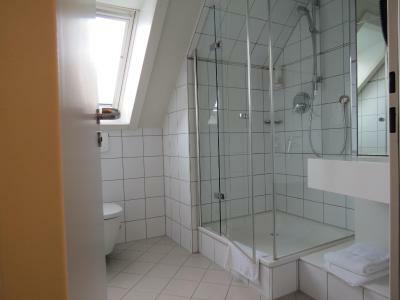 Room is good size with large bathroom. Hotel is close to center of town parking available for 9 euros. The two floors of the property. Great location. Left car parked. 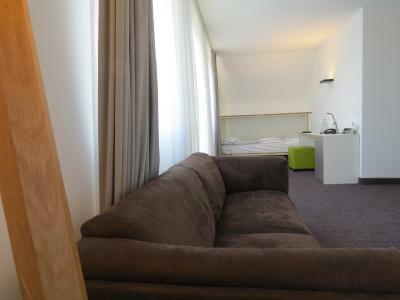 The hotel is really clean with bew furniture and comfortable beds. The hotel in the center, you walk within minutes to the big cathedral,, the breakfast is really rich with only 6€ per person. 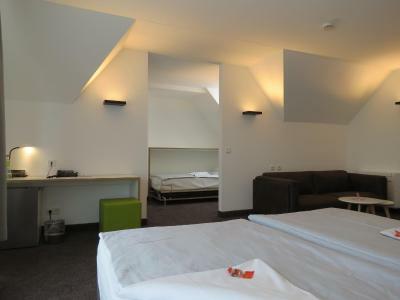 The hotel has big rooms for family which has 4 persons capacity each room. The shower 🚿 is really nice which has a high pressure with very warm water. I really liked the hotel and I sm sure next time, I would stay in it. The breakfast really is as good as everyone says it is. The beds were firm but comfy. The room was updated and modern with a really nice shower and bathroom. The staff included a nice fan for me to use during the hot summer nights which really helped. When I asked for an ironing board and iron, it was brought to me within 10 minutes! lightning speed. The room was really quiet and I slept soundly. 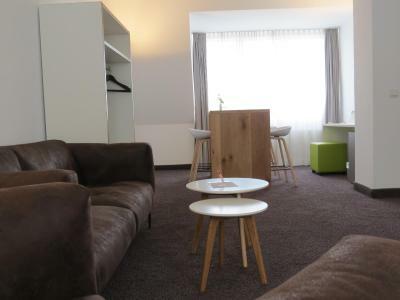 Comfor Hotel Ulm City This rating is a reflection of how the property compares to the industry standard when it comes to price, facilities and services available. It's based on a self-evaluation by the property. Use this rating to help choose your stay! 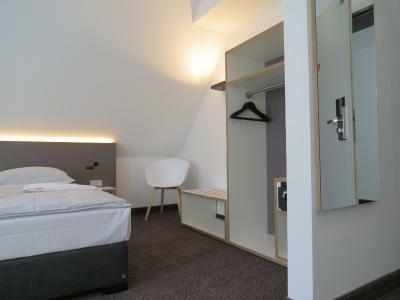 This hotel in the center of Ulm provides soundproofed rooms with free Wi-Fi and a bright breakfast room. 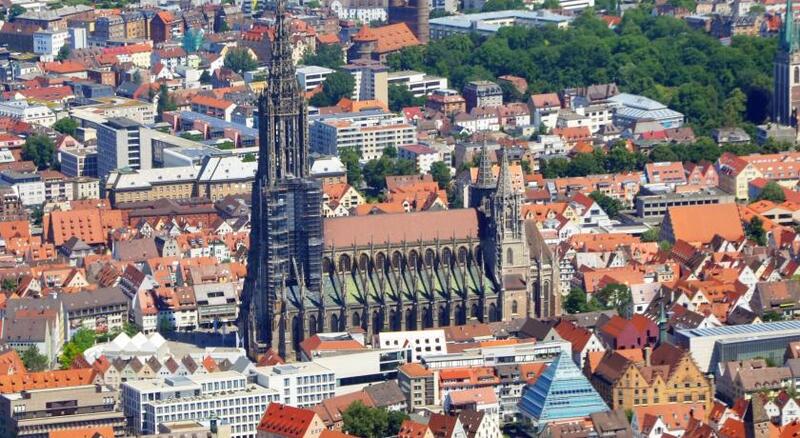 The Ulm Minster Church is a 5-minute walk away. 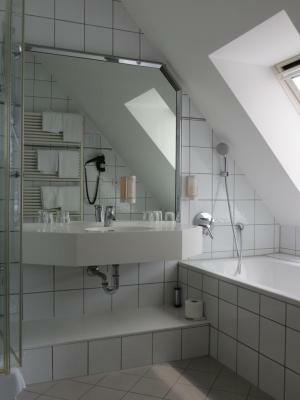 All rooms at the Comfor Hotel Frauenstrasse include satellite TV with free Sky Sports channels and a private bathroom with hairdryer. Each room also has a work desk, and a refrigerator. A large breakfast buffet is served in the conservatory overlooking the green courtyard. Guests will find drinks machines on every floor. Hotel Frauenstrasse’s reception is open 24 hours a day. Donaustadion Stadium and Ulm Central Station are a 15-minute walk from the Comfor Frauenstrasse. An underground car park is available. Legoland Germany is 25 mi from the hotel. 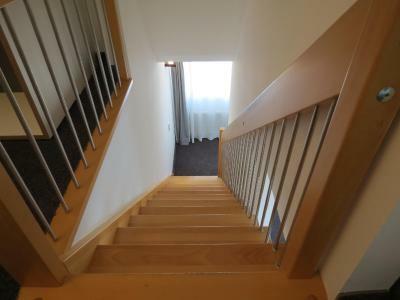 This property is also rated for the best value in Ulm! Guests are getting more for their money when compared to other properties in this city. 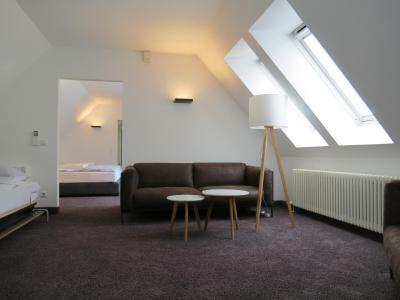 When would you like to stay at Comfor Hotel Ulm City? 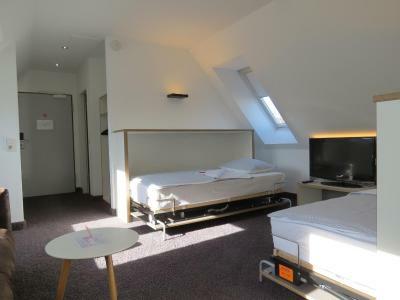 Bright room with a small refrigerator, satellite TV (including free SKY sports channels) and a private bathroom with a hairdryer. The room looks out onto the street. 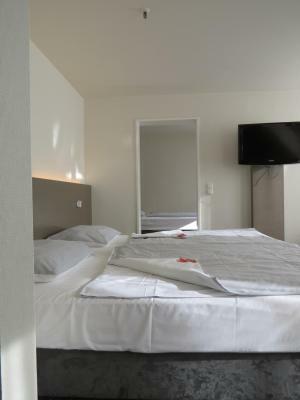 This room consists of a large room with a double bed and a second room (without a connecting door) with another bed. 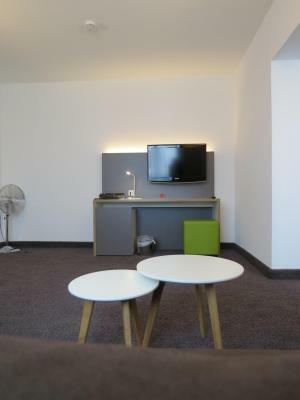 The room includes a seating area, a refrigerator, a telephone, a flat-screen TV with Sky Sports, and a bathroom with a shower, a toilet and a hairdryer. 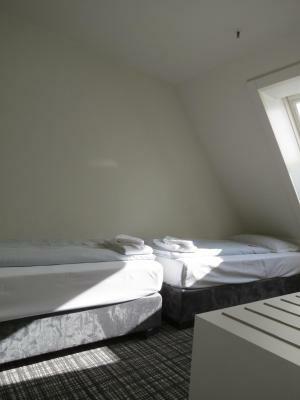 This spacious room has a double bed (consisting of 2 mattresses, each 3.3 foot wide) and two single beds (each 3.3 foot wide). 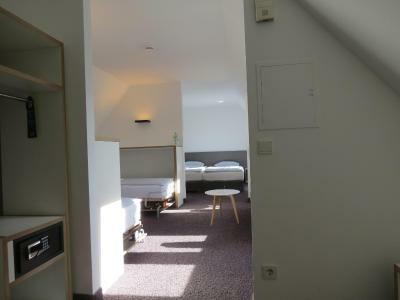 The two single beds are located in a small side room, separated by a door. 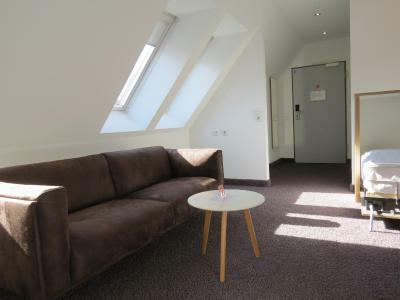 The nonsmoking room offers a small refrigerator, a telephone and satellite TV (with free Sky sports channels). The bathroom has a hairdryer. 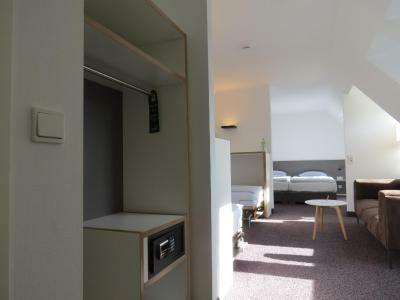 Bright, nonsmoking room with a small refrigerator, satellite TV (including free SKY sports channels) and a private bathroom with a hairdryer. 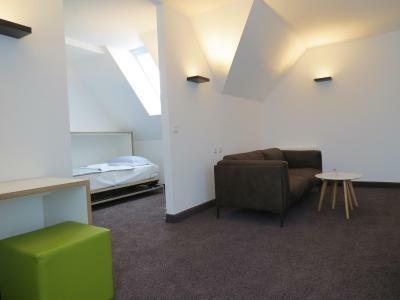 This room offers a peaceful atmosphere and is well-located. It faces the quiet inner courtyard. 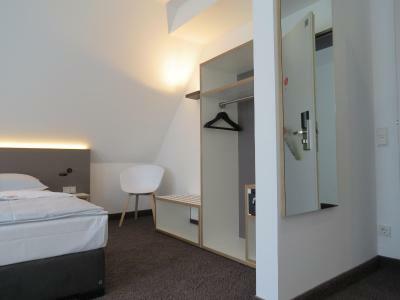 Bright room with a small refrigerator, satellite TV (including free SKY sports channels) and a private bathroom with a hairdryer. 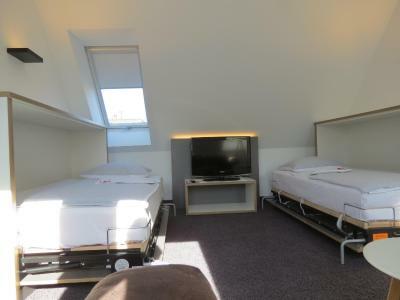 This double room has a small double bed, 55 in wide. 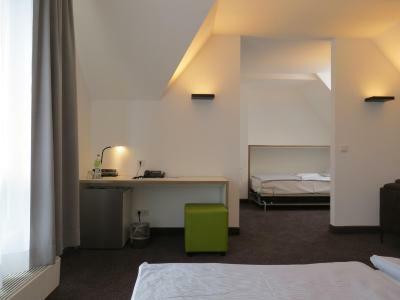 This is the only difference the Economy Double Room and the ordinary Double Room. 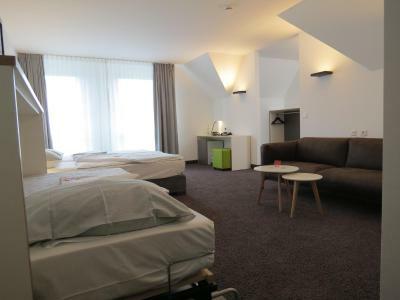 No extra bed or children's bed is possible in this room category. 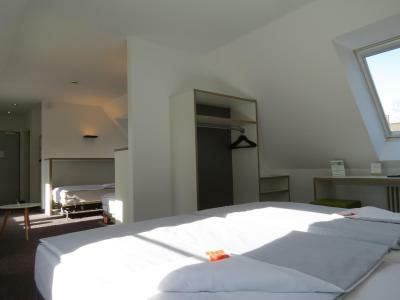 This spacious suite has two double beds (each with 2 mattresses, 3.3 foot wide) and two single beds. The two single beds are located in the living room of the suite. The suite has two bedrooms and a living area with seating (no connecting doors). 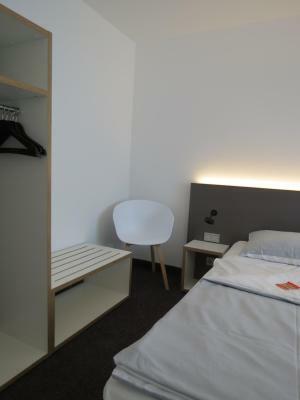 The room has air conditioning, a TV (with free Sky Sports channels) and a bathroom with hairdryer. 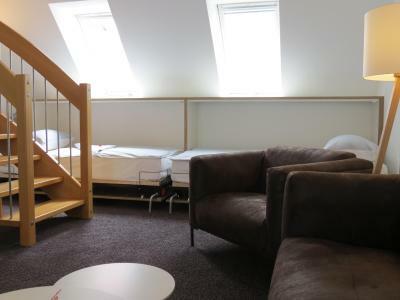 This spacious suite has a double bed (2 mattresses, each 3.3 foot wide) and two single beds. The two single beds are located in the living room of the suite. 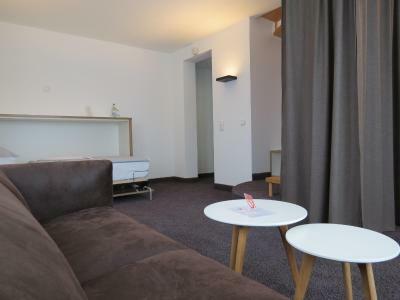 The suite has a bedroom and a living area with seating (no connecting door). 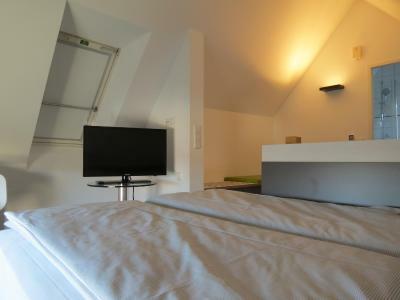 The room has air conditioning, a TV (with free Sky Sports channels) and a bathroom with hairdryer. 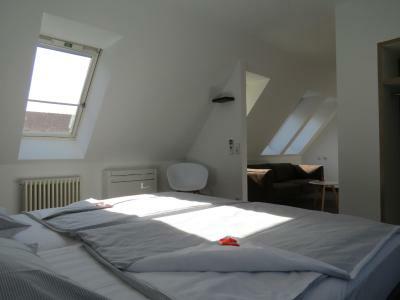 This spacious room has a double bed and two single beds. 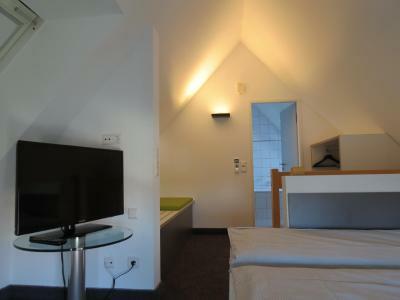 The room has air conditioning, a TV (with free Sky Sports channels) and a bathroom with hairdryer. 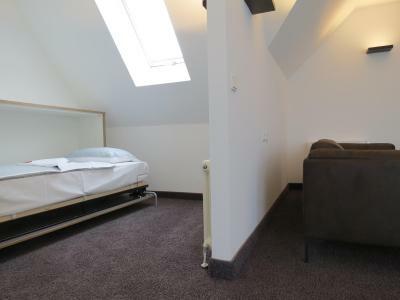 The room has a small double bed (4.6 feet wide) and a single bed. 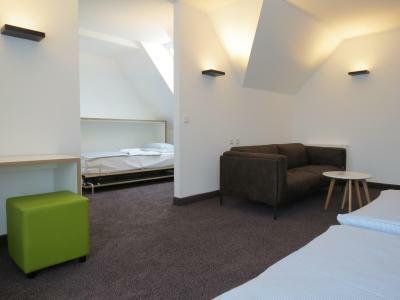 The room is divided into a bedroom and a living area (no connecting door). 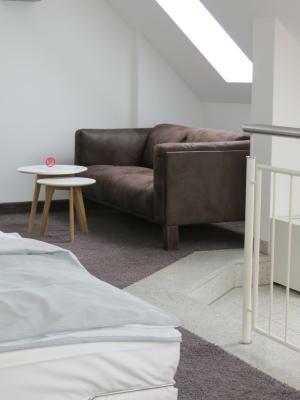 The single bed is integrated in the living area. The room has a bathroom with hairdryer, as well as TV, telephone and a fridge. 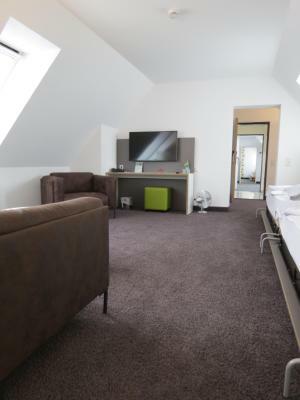 House Rules Comfor Hotel Ulm City takes special requests – add in the next step! Comfor Hotel Ulm City accepts these cards and reserves the right to temporarily hold an amount prior to arrival. Guests are asked to pick up their room key at the hotel reception prior to entering the public parking garage,otherwise they can't use the elevator. For security reasons, the parking garage elevator is only accessible with a hotel key. Vehicles with a height up to 6.6 feet can access the garage. Please note that reservation is not necessary. Guests with restricted mobility are kindly asked to inform the hotel of this when making their reservation. The reception is open 24/7. Check-in is from 14:00 and check-out is until 11:00. - for 5 or more rooms, a cancelation is free or charge until 1 day prior to arrival. - for 10 or more rooms, a cancelation is free or charge until 3 days prior to arrival. Good breakfast only €6, Huge family room, Great location. Love everyone about our stay. Fantastic!! The staff was really kind, the breakfast was great and the room very clean. It would be great to have proper window blinds to keep the room dark in case you want to sleep in. 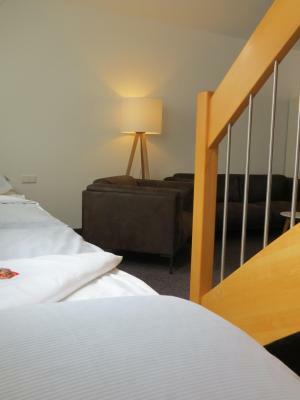 Comfortable room, easy communication and relaxed atmosphere. Bad smell in bathroom. Carpet not clean. Excellent breakfast, great and friendly staff, location in the very heart of Ulm. Spacious and very clean family appartment. The room was very spacious and clean. The breakfast was great, loads to choose from. The underground parking is well worth the extra fee and there were plenty of spaces available. Noisy at breakfast, but not because of the property. Nice big clean room with a proper shower and very comfortable bed. The breakfast was more than acceptable and the staff very friendly. Wonderful location, very close to the center. The staff were extremely helpful and welcoming, breakfast was very nice. 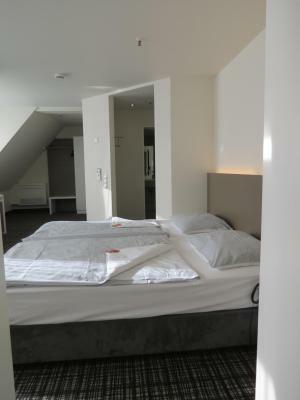 The hotel room was spacious, clean and comfortable, excellent value for money.